Where does your website live? What kind of hosting plan do you have? My guess is that if you don’t know, then you probably have shared hosting. If you are paying less than $25 per month, then you are probably on shared hosting. What’s the difference? And what difference does it make which hosting you are using? Let’s start with the most expensive. A dedicated server is a computer ‘dedicated’ to your website. That’s it’s sole purpose: to keep your website up and running 24/7/365. Your website gets all the computer resources: all the memory, all the hard drive, all the cpu, everything. Your website will be faster, more responsive, and more efficient. All that comes with a cost. Usually, a pretty hefty price. Dedicated servers run from $200 per month on up. That’s more money than most people can handle for their website. Fortunately, that’s more resources than most people need for their website. If you have a small website with only a few visitors each day, you would have a whole computer dedicated to that one, small website. The extra processing and power of the computer would be wasted. 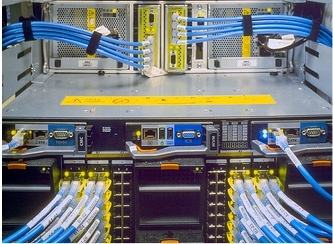 A Virtual Private Server (VPS) allows several websites to share the same computer. Each website has it’s own share of the memory, disk space, and resources. This allows websites to share the costs and split the resources without actually sharing the same resources. In other words, the websites share the same computer, but they have their own dedicated share of the resources. Shared hosting allows a lot of small websites to share all the computer resources. There are no boundaries so all websites use what they need when they need it regardless of what the other sites are using. If one website starts using a lot of resources, it can slow the other websites down. If one website has a bug and brings the system down, it brings all the websites down. There are some things that server administrators can do to monitor and guard against bugs and errors, but for the most part, a shared server is at the mercy of each website. One bad website can spoil the whole bunch. Shared hosting can be really inexpensive. The more websites on a server, the slower the server will run. Some hosting companies oversell their servers and have way too many websites on a server so that the server is really slow and may have a lot of downtime as websites have spikes in traffic or usage. The security on these servers can also be lacking depending on the way the server has been set up. Does this mean you shouldn’t use shared hosting? No. Shared hosting is appropriate for smaller websites and online business that are just starting out. I hate to see start-up businesses go all out and get dedicated servers because they are dreaming of having a HUGE, quick success. They end up spending all their money on a server before they really need it. They don’t have to worry about outgrowing the server very quickly, but instead they end up worrying about where the money will come from to keep the business going. It’s better to start out small, with shared hosting and then upgrade when you need it. It only takes a couple of hours generally to move from one type server to another and usually there is little, to no, downtime for the site. It’s better than wasting a bunch of money on server space and resources that aren’t needed. For those of you on shared hosting, please understand that your site will go down more often and be more slow than if you had a VPS or dedicated server. This should be expected. When you feel the need to complain about your website downtime or the slow response you may be getting, please remember that you can always upgrade and spend $50 per month or more to get better service. Overall, shared hosting is a great deal. If you are with a reputable hosting company, your up time will be really good even though you are sharing the computer with a bunch of other websites. It’s well worth the slow response and the occasional downtime unless it is critical to your business that you experience NO downtime at all. Just remember… In most of life, you get what you pay for. If you need more or better, you will pay more. Hosting is no different. If you use free hosting, you will get little to no support and you have no reason to complain when your site goes down or even goes away all together. You can’t complain when you can’t later move your site to another hosting company. If it’s free, you can’t expect great service. If it’s inexpensive, you can usually expect slower service. Have questions about the type of hosting you need? Let’s talk!